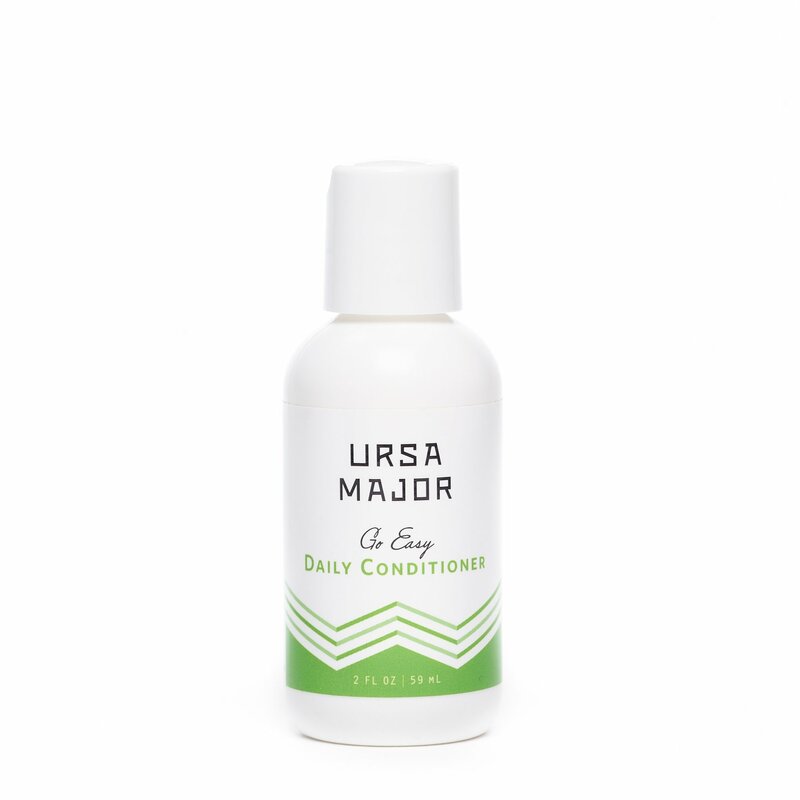 Ursa Major Go Easy Daily Conditioner gives hair the feeling of essential moisture without making it feel heavy or look greasy. Aloe and jojoba offer light moisturization that won’t weigh hair down, while rose lends a soothing feel to scalp, perfect for sensitive skin. Bergamot provides a balancing sensation and sandalwood promotes a nourishing feeling and boosts the appearance of healthy shine. 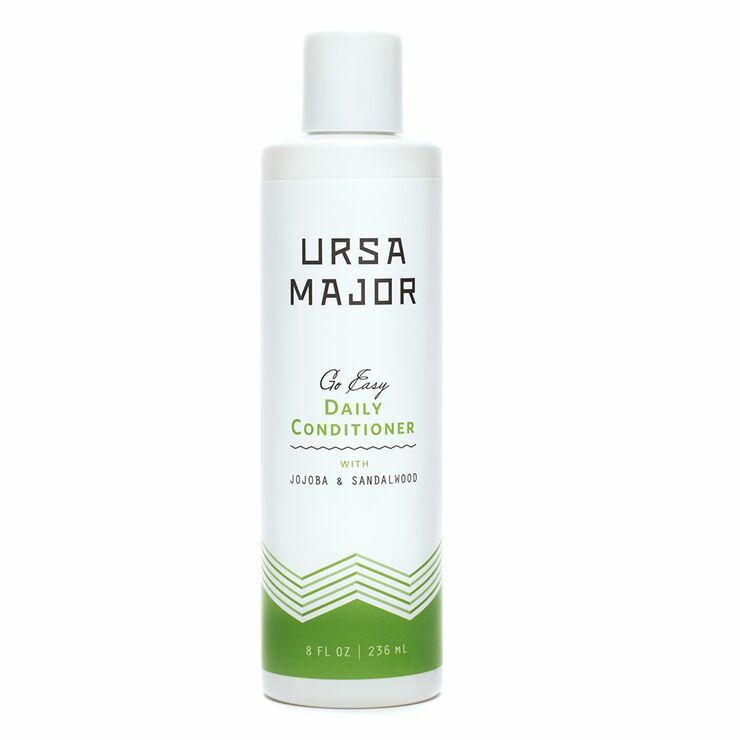 Hair feels stronger, hydrated, and smooth, and the zesty citrus aroma is suitable for all. Smooth through clean, wet hair and allow to remain on hair for 30-60 seconds. Rinse well. May also be used as a leave-in conditioner by running through strands. Aloe Barbadensis Leaf Juice*, Cetearyl Alcohol, Glycerin, Cetyl Alcohol, Behentrimonium Methosulfate, Simmondsia Chinensis (Jojoba) Seed Oil, Glyceryl Caprylate, Santalum Album (Sandalwood) Oil, Hydrolyzed Soy Protein, Macadamia Integrifolia Seed Oil, Panthenol, Zingiber Officinale (Ginger) Root Oil, Guar Hydroxypropyltrimonium Chloride, Sodium Phytate, Citrus Aurantium Dulcis (Orange) Peel Oil, Citrus Limon (Lemon) Peel Oil, Glyceryl Undecylenate, Abies Sibirica Oil, Citric Acid, Lavandula Hybrida Oil, Hydroxypropyl Starch Phosphate, Citrus Aurantium Bergamia (Bergamot) Fruit Oil, Potassium Sorbate, Rosa Centifolia Flower Extract, Sodium Benzoate, Pogostemon Cablin Oil.